THQ Nordic has confirmed that the Wii U version of Darksiders: Warmastered Edition is still on its way, despite rumours that it had been canned. 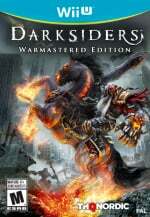 The updated version of Darksiders will launch worldwide on May 23rd, with a price of $19.99 / £14.99. Had you given up hope of seeing this on your Wii U? Let us know what you think by posting a comment. Getting it. It's taken way too long but I'd rather support the series and Nordic to show them there's at least some interest in the series on Nintendo's platforms than sit butthurt in a corner and whine about "too little too late". Was this any other game I probably wouldn't bother tho, to be perfectly honest. Well, I guess BotW has just been bumped as the Wii U's final hurrah. I only started playing this on PS3 last night after getting it in a bundle a while back. Kinda sux wish they would have ported it to Switch, I'm sure they knew the console would be out by the time they wanted to release the game... 😒 Only cuz it's Darksiders I'm going to purchase it and show support for Nordic games on Ninty platforms otherwise I'd be like screw it. @olrodlegacy that's right! There doing a retail version!! Got it thx! Awesome! I knew THQ Nordic wouldn't let me down. I never lost faith. That's why I still have my pre order in place. Will defo pic this one up! I'll be getting it! One last Wii U game to add to the collection! All the more ironic considering Darksider 2 was a launch game for the Wii U. Hey, this is cool! I may pick it up. I still have to finish Darksiders 2 though. They were there at the start and are there at the end. I'll wait for the Switch port. They should have released it last year prior to the full Switch reveal last January imo. Oh heck yeah, i was just about to pull the trigger on this for my xb1. Never played Darksiders but heard great things. If it was moved to switch I would buy. I preordered this back in August 2016 with Amazon. Glad I kept it open. If it's a physical copy though, I might still pick it up. Any non-RPG 3D action adventure has my interest, and I've been holding off on playing any Darksiders until this arrived, so I'm delighted to get confirmation of a release date. Ordered my copy nearly 7 months ago now. Base.com's price is still the least as far as I'm aware - £12.85 - for those after physical. I've completed this on the 360 so doubt I'll be buying it again but it is a truly awesome game. Is this a physical release or digital only? I am assuming for 19.99 that it is digital. They've priced this very sensibly and I wouldn't think twice about buying this if it was on the Switch eShop. Unfortunately, the Wii U ship has sailed and I personally will never be using it again. @Nintendo_Alski Indeed. I had more fun exploring the world in the original than i did the sequel. Coming this late to the party, and on Wii U rather than Switch, is anyone really going to care about this game? It's unacceptable that it's taken this long, but I've had it pre-ordered since it was first announced since I'm going for a full North American Wii U set. I like Darksiders. I enjoyed this game a lot when I played it on the PC. I hope the game also comes out on the Switch along side Darksiders 2. Sign me up. This has been on the wishlist for months. And here I was thinking Zelda would be my last game for Wii U. Ya know i don't think I've actually seen it. I think I'll try and track it down on YouTube and watch it also. Very nice. Will buy and hopefully a beautiful Darksiders III on Switch one day. You know what? I'm gonna buy this because they didn't have to finish it and I'm happy that they did. How will this be better than the Xbox 360 version? @Gentlegamer you can play it portably, i guess. @KiWiiU_Freek Technically, THQ isn't THQ Nordic, the former was an American video game conglomerate specializing in licensed games, the latter is an intellectual property acquiring Austrian company. But to be fair, Darksiders did indeed start and end the Nintendo Wii U from a software perspective. Great news. Now who needs pathetic Yooka Laylee. @Gentlegamer The visuals have been upgraded and some performance issues have been addressed, so you should look at this as a Director's Cut edition of the game. Wii U continuing to be a better option than its successor. Nice to see WiiU Blue again! Such an underappreciated machine. I was going to pick this up, but won't now since I've unhooked the WiiU for Switch (and HDMI cables aren't quite meant to be moved around all the time), but it's nice to see it's still happening! What kind of a game is darksiders? Adding​ this to the list. I have money to spend on my Wii U yet. Q) Had you given up hope of seeing this on your Wii U? A) Hearing other developers cancel Wii U versions (sometimes in favour of Switch versions admittedly) even prior to the Switch's announcement, did cause me to have doubts, but I always clung onto a small sense of hope that this game would be the exception. Thank golly gosh it is! This is a definite must-have for me, what with it being both physical and only £15. Once I pick this up, I'll have a quick search for it's sequel, a game I considered picking up during the Wii U's launch but did not due to having never played the first entry. With this Wii U release, I shall be rectifying that! Maybe I really should get hold of this. Way back when it originally released I kind of badmouthed it unjustly for a variety of reasons, but I have since grown more and more curious of what all the fuss was about. 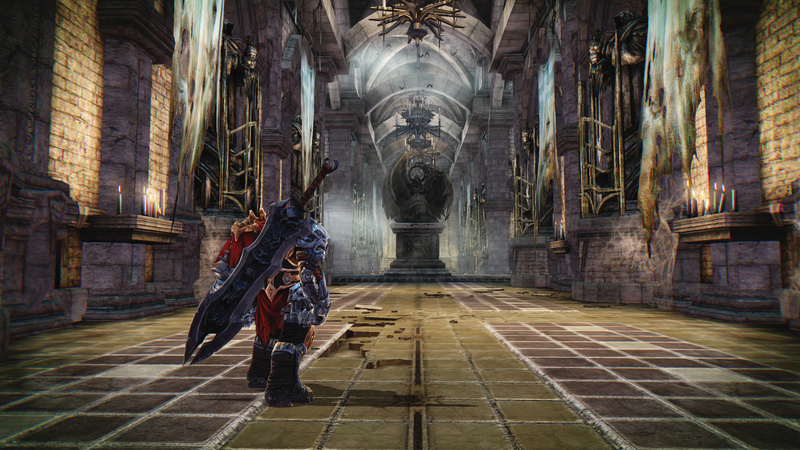 Darksiders 2 on WiiU was awesome. Excellent! Having heard nothing on Darksiders for so long, I had assumed it had been quietly canned. As this is a port, I may be waiting for a review before I grab it. Is this going to be a physical release or digital only? EXCELLENT NEWS!!! I'm very happy! Already pre-ordered! Yess! there's still some wii u love left! @ThanosReXXX Remastered to the same level as PS4/XbawksOne? I think I'll get the game just to reward THQ Nordic for their loyalty. Much respect for them for still following through with this. @Gentlegamer The graphics level polish will be besides platform. Resolution-wise, there will probably be a difference, but other than that, I see no reason why the Wii U version would also not be able to look better than the original. The game is not specifically designed to get the most out of the hardware; it's designed to be touched up here and there and to optimize performance. It will probably be the same difference as the LEGO City Undercover reboot on Switch vs the other versions. That game also looks practically the same, except for being in a lower resolution. And since Darksiders is also a last gen game, it will not task any of the three platforms to their limits. Never finished part 2 out on pause when U heard this was coming for Wii U. I just dl'd it free for XB1 but I love the 2nd screen maps/weapons etc. and my Wii U in general. So for $20, it's a buy most likely. Fantastic, a 3rd party Wii U game that hasn't been cancelled! Zelda BOTW is last 1st party game folks. 3rd party games can come indefinitely. Look at the Dreamcast lol! I'm very excited this is still happening. Thank you Nordic. Does anyone think this will be a release to pre-order type situation? I want to buy it. I really do. But I also own a Switch now, and thats where I'd like to have it. Edit: For those who have refrained from buying a Switch and want to stick with Wii U for a lot longer, I can agree wholeheartedly that this is a great thing. I almost skipped the Switch, myself and got Zelda on Wii U just to save money and enjoy what I have. I didn't though. Its still tempting, and I'll probably still be adding games to my Wii U here and there, that being said. I'd rather have on Switch, but I understand this game was announced long ago, and basically every other Wii U game was dropped for Switch already... I can accept one or two actually sticking to a Wii U release. Anyone with even a passing interest in action games should pick this up. It is a lot of bang for the buck and these guys should be commended for keeping their word on a Wii U release (looking at you, Playtonic!). Loved Darksiders 2 on Wii U, having not played either game before, so I was staying hopeful that this would still be released (although wouldn't have minded if it had been moved to the Switch)... will definitely be getting it when it's released. Bring it to switch, i will be the first to buy it. Love this game. Played on PS3. So excited to have it on my WiiU. Just picked this up along with the second on on PS4 from a Humble Bundle. Been wating to play these for awhile now. I'll see it when it happens. Great game, but I'm surprised they didn't just move the game over to the Switch, or at least made a Wii U and Switch version. Open letter to anyone who hasn't played it: it's phenomenal. The atmosphere, the music, the boss and character design. I thought some bosses were oddly frustrating, like that spider one, but otherwise it's a great 3D action adventure. I ended up getting this for PS4. I wanted it for Wii U but got tired of waiting. @gcunit Darksiders most definitely has RPG elements. Just so you know. Nice. Will buy if it is a physical release.